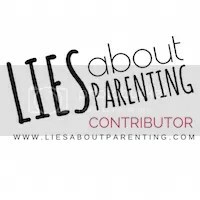 Posted in babies, birthday, co-sleeping, daughter, family, growing up, humor, kids, kindergarten, moms, parenting, turning 4	by linda a. My youngest princess-ninja just turned 4 and I was not ready for it. Just the other day I was changing her diapers and today she’s asking me for privacy every time she needs to go potty. I’m not ready to send her off to kindergarten, even though that’s 1 year away, but in mommy time it’s really 5 minutes. I’m not ready for her to stop wanting to sleep in our bed, even though she has made a permanent dent on my ribs. I’m not ready for her to stop playing Barbies and babies, even though I get on her nerves every time we play because I just can’t get their voices and accents right (obviously, they all come from different islands, each with their own exotic accent, and it’s not enough for her that I already speak with one). I’m not ready for her to start being more independent, even though I try to teach her to be and secretly love that she won’t leave my side even when I’m in the bathroom. I’m not ready for her to give up her tantrums, even though it makes the vein in my forehead want to pop, because I know that all she wants is my attention. I’m not ready for her to start talking like a big kid, even though sometimes I don’t understand half of what she says, mainly because I don’t know if she’s speaking english, spanish or spanglish, but I’m pretty sure she makes up her own words most of the time. So I sat down with her and tried to reach some sort of agreement. Ok, so I made the last one up, but it wouldn’t surprise me if she does say that when she understands what having a social life means. Clearly, I was getting nowhere with this kid. So I did what every other mom in my predicament would do. I got pregnant. No, not really, I just went out and bought her a toy baby, because that’s what babies play with. Al fin lo leí! She’s my favorite ninja princess!